SOS Children’s Villages works with some of the world’s most vulnerable children and young people – those who have been orphaned, abandoned, neglected or abused. As a result, many struggle with low self-esteem, issues of trust and anxiety. Partners like Cirque du Soleil help SOS to provide innovative programming that transforms the lives of these children and youth around the world. Emmanuel Bochud of Cirque du Soleil helped to pioneer the SOS Social Circus program, a social intervention tool that empowers vulnerable children and youth in SOS programs around the world. Emmanuel has also personally experienced the transformative power of the circus arts. “I truly believe in the use of arts and creativity as a tool for social change. As a kid, I didn't fit so much in the school system even if I loved to learn. I personally found the circus to be a space of liberty to express myself, to be myself, to learn in a different way and to take risks. I think offering an innovative way for kids and youth to express themselves, to explore, to learn, to take risks, is essential. The culture of circus is all about humans who work together, supporting each other - just think about a human pyramid," Emmanuel shares. 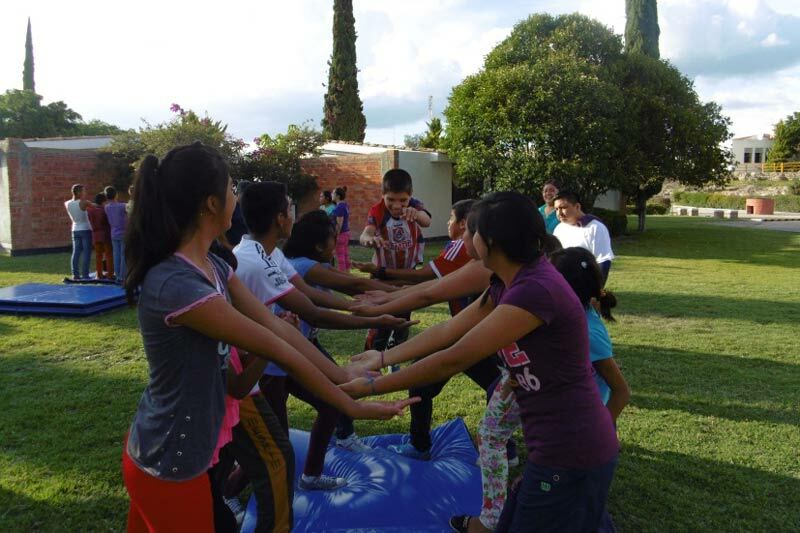 Since the SOS Social Circus program was first piloted in Mexico in 2014, its positive impact on participants and communities has been significant. SOS Social Circus participants have developed life skills, such as self-confidence, discipline, trust, interpersonal skills and teamwork, that are vital for healthy relationships, academic success and future employability. "After the pilot project in Mexico, we realized that SOS was bringing all of the winning conditions to make the project a success but also that the entire Village was benefiting and learning from the experience. SOS offers so many services to kids and youth, and adding circus arts and creativity into the equation brings something more to the community, something different, not only for the participant, but for the entire community," says Emmanuel. SOS Social Circus not only benefits children and youth in the program, but also has a positive impact on their friends, families, and communities as a whole. The program has proved to be a powerful tool to prevent violence and discrimination, promote gender equality and address other social issues that affect children at home and in the wider community. Thanks to the support of Cirque du Soleil and committed individuals like Emmanuel, SOS Social Circus has expanded to five countries across three continents, benefiting more than 700 vulnerable children and youth.